Welcome to Ivey Air, Inc! 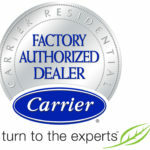 The most trusted HVAC company in Buck County since 1979! Complete layout and design done in house! Fully equipped shop for all fabrication and installation needs! Tell us more about your problem! Read about out latest promotions and coupons! Read an overview of our most valued customer reviews! For free in home consultations call today: 215-949-1331! Ivey Air, Inc. was founded on November 20, 1979, by owner/operator Thomas E. Woods. From its beginning, Ivey Air has been recognized as a pioneer in finding new and innovative ways of creating more energy efficient and higher quality cooling and heating systems. Over thirty years later, Ivey Air, Inc. still operates on those same principals. In today’s world our experience in energy efficient layout and design methods related to HVAC has never been more in demand, especially our groundbreaking methods of air balancing in Bucks County, as well as throughout Southampton, PA, and the surrounding regions. To this day, we do everything in our power to set ourselves apart from other HVAC companies and contractors in and around Newtown, Levittown, Southampton, Bucks County, Langhorne, and Bensalem, PA. When our client family needs services for their heating or air conditioning systems, we have the necessary experience and equipment to deliver high-quality service in a timely fashion. The continual progress of our company has been contributed to the high standards we hold for our work as well as our customers. Because we are family owned and operated, there is nothing more important to us than customer satisfaction and nothing is finalized until the owner himself verifies the quality and effectiveness of each installation or service. That is our pledge as great contractors. Each and every employee at Ivey Air, Inc. has the responsibility to give our customers the high level of respect and service that they have come to expect from us. This disposition has allowed Ivey Air Inc. to successfully grow in the industry and work on larger projects expanding our potential. Now with over hundreds of successful installations under our name, Ivey Air, Inc. has built a solid reputation for good work ethic and on time job completion. We are currently located in the Bucks County area, although we serve all of Pennsylvania, New Jersey, New York, Delaware, Maryland, and where ever your job may take us. Ivey Air, Inc. offers a team of experienced mechanics who will layout, design, install and provide drawings for any duct systems you may require. Each and every employee at Ivey Air, Inc. has the responsibility as contractors to give our customers the high level of respect and service that they have come to expect from us. This disposition has allowed Ivey Air, Inc. to successfully grow in the heating, ventilation and air conditioning industry and work on larger projects expanding our potential. Regardless of the type of service you need on your HVAC systems, be it air conditioning, ventilation, heaters or boiler services in Bucks County, we at Ivey Air have you covered. We have pledged as contractors to only deliver the most exceptional experience to all of those putting their faith in our company. Now, with over hundreds of successful installations under our name, Ivey Air, Inc. has built a solid reputation for good work ethic and on time job completion. We are currently located in the Bucks County area, and we are well-known in Newtown, PA, although we serve all of Pennsylvania, New Jersey, New York, Delaware, Maryland, and wherever your HVAC project may take us. Ivey Air, Inc. offers a team of experienced mechanics who will layout, design, install and provide drawings for any duct systems you may require. We are the energy efficient shop, and we have proven it time and time again with our maintenance programs that add longevity and efficiency to the units, as well as conserve operating costs. We look forward to hearing from you to discuss the many ways Ivey Air, Inc. can service any of your heating and air conditioning needs. We proudly serve Langhorne, Bensalem, Levittown, PA, and all of the surrounding regions. 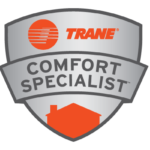 We are some of the most trusted contractors with extensive experience, delivering services that set ourselves aside from your everyday heating and air conditioning company. Contact us today for any of your HVAC needs, including air conditioning repair in and around Bucks County.